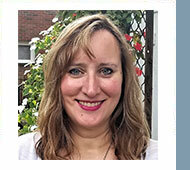 My name is Julia Burtscher and beginning January 1, 2019 I will be the IHS’ Executive Director. I am committed to continuing Heidi Vogel’s hard work, as she has built a very strong foundation for the health of the IHS. Congratulations, Heidi, on your retirement and IHS Service Medal of Honor! I earned my Bachelor of Arts in music concentrating in the horn from the University of Cincinnati College-Conservatory of Music in 1995. I earned a Master of Business Administration from the same institution in 2017, through their online program. In the 22-year gap between those two degrees I’ve spent most of my career in the corporate world in the railroad and transportation logistics software industry. I learn every day and am grateful for the experiences I’ve had. I live in Toledo, OH, and since I was 13 years old I have never stopped playing the horn. It is my first love and brings me joy to play. This is why I’m so excited to be your new executive director. I have been a member of the IHS for a lot of years and know it to be a supportive, positive, productive family of diverse, talented, creative people. This family has a wealth of resources to share to enrich horn players and musicians at any level, and I am so proud to be trusted with this role. I look forward to getting to know you and cannot wait to begin my new role with the IHS! John Ericson received a 2018 Punto Award from the IHS. Individuals selected for the Punto Award shall have made a major contribution at the regional or national level to the art of horn playing. This contribution can be in any of a variety of areas, such as performance, teaching, research, or service to the IHS. John was recognized for his contributions as a performer and scholar, his past service to the IHS, and his promotion of the horn and its music through his online activities. 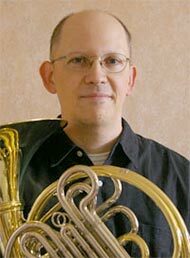 Mike Harcrow: "The mission of Horn Matters is: to encourage, inspire, inform, and challenge horn players; and, to promote the best musical instrument ever, the French horn." The Horn Matters mission statement is terrific, John, although a non-hornist might see the second goal as arguable. Do you believe the site is fulfilling its mission? 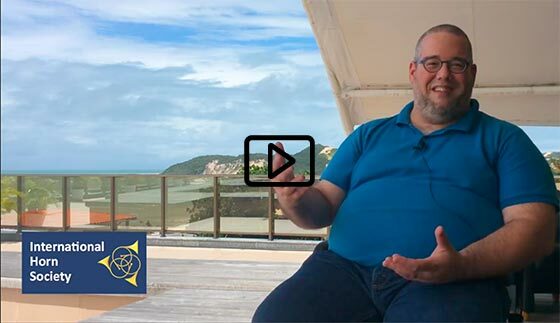 John Ericson: Our goal certainly is to fulfil that mission—and I believe we have—in that Horn Matters is a site with a positive tone and a big reach worldwide, presently toward 1,500 page views every day. A word not to miss in the statement is “promote.” One thing every horn player needs to embrace is promotion of our instrument; we certainly could use more players! We hope that the information on the site is supportive to building the overall horn and “middle brass” community. Of course, HM did not happen overnight. The site launched in September of 2009, making use of content from two existing blog sites: my own Horn Notes Blog and the Horndog Blog of Bruce Hembd. My blog content reaches back to June of 2004, with the underlying site that started it for me being my Horn Articles Online site, launched twenty years ago in August of 1998. Bruce has been online even longer; in 1996 he started the Hornplanet site of Thomas Bacon and the IHS Online. With those varied experiences, the mission of Horn Matters evolved over time as we developed the site you see today. MH: What are the real strengths of HM, as you see it? JE: On one level it is a huge website with over 1,500 articles. It has a little of everything in it, not just on the horn but on all the middle brass including mellophone and Wagner tuba. However, looking a bit deeper, there is a “point-counterpoint” element to the content as well that gives it a bit of extra spark. Bruce and I met as students at Eastman way back in 1984. We are different people but have long had a good working relationship. Either of us, individually, would not have built Horn Matters, but together we were able to create something unique. MH: Is there anything, as we approach ten years of HM, that you still hope to improve about the site or its content? The IHS AC announces a “50 for 50” campaign for donations to support our general operating budget. We ask all to consider donating “$50 for 50 years” of the IHS which will be used for our general operating expenses which support all our programs. To donate, click on the image below. This link takes you to “Network for Good,” an agency that assists non-profit organizations in collecting donations legally. 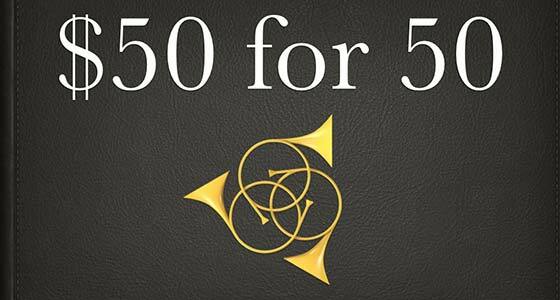 Fill out the form, putting the phrase “50 for 50” in the “Designation” space. PLEASE NOTE: The IHS is a registered non-profit organization in the state of Illinois. The address shown (on Wacker Drive in Chicago) is our current Registered Agent. Please do not send mail to that address. Pay with a credit card or PayPal account. Network for Good has waived transaction fees and only charges for the credit card processing costs. Feel good about your support of our Horn Community. Thank you in advance for your support of the IHS. Send any questions to president@hornsociety.org. The following is a brief synopsis of the presentation given at the International Horn Society’s 50th Symposium. The intent was to introduce the audience to a sampling of the wide variety of musical situations the horn has found itself in over the last 100+ years. Since this space does not allow for an exhaustive or thorough overview, what follows will hopefully provide some basics for further exploration. Often, a traditional education for hornists lacks any kind of basic overview of jazz history and more significantly, how correct performance practice (to use a classical term) applies to the diverse styles found within the idiom. As outsiders, we occasionally hear something played in a jazz style and think ”oh, that’s nice” but then return to playing and listening to music that our instrument is most associated with. Or we play the wonderful music of Alec Wilder, Doug Hill or some Fripperies and believe that we now have gained all we need to know about playing jazz style music. One can argue, in these situations, that most hornists have never seen the deep, jazz forest through the slightly jazz influenced, classical trees. Where does one start to discover the multitude of musical situations throughout jazz history that have included our instrument? Fortunately, almost the entire history of jazz music has been thoroughly documented through recordings. While performances of jazz certainly do involve on-the-spot improvisation and large sections of music that are never written down, recordings can still give us solid documentation of a moment in time in the development of the music. The accompanying list of 99 recordings is intended to give players a starting point for finding historically or musically significant tracks. 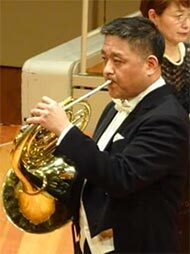 The list is divided into 3 sections: the horn in big bands and orchestras, the horn in small group situations of less than 10 players, and the hornist as group leader. Big bands are often referred to as the orchestras of jazz music. They give composers and arrangers an opportunity to create more organized sounds. 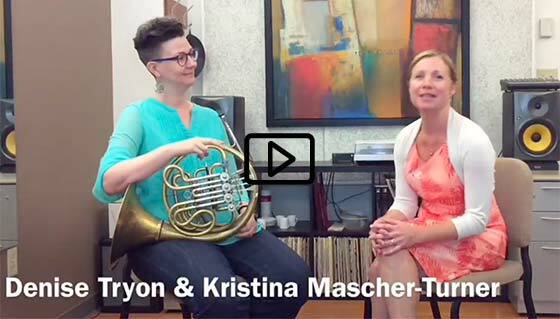 The horn has provided more possibilities in the palette of sound available to these writers. Small group situations, including those with hornists as group leaders, also provide similar possibilities, on a more intimate scale. We can easily consider this the chamber music of jazz. Last but not least are the many individual horn players who have participated in these recordings. While some tend to specialize in one particular area, others have taken part in scores of recording sessions over a wide spectrum of styles and groups. The COMPLETE Video Interview with Denise Tryon. Still waiting to join the IHS? Do it today! 1971년 서울출생 예원, 서울예고, 서울대학교 음악대학졸업 하였고 독일 Essen Folkwang Musikhochshule 에서 Diplom과 Konzert Examen을 졸업하였다. 독일 유학당시 Düsseldorf Kammerorchester 객원수석을 역임하였고 귀국후에 KBS교향악단 수석을 역임하였다. 일본 JHS 초청연주,일본 Tokyo 앙상블 (리더, 김창국) 초청연주, 일리노이주립대 초청독주회 및 마스터클래스, 제주국제관악제 초청 soloist, Shenzhen International Horn Festival에 초청받아 독주회와 마스터클래스를 하였다. 2005, 2015, 2017년에 교향악축제 협연자로 연주하였고 귀국후 2001~현재까지 매년 예술의전당 리싸이틀홀에서 독주회를 개최했으며 2009~현재 매년 Berliner Philharmonie Kammermusiksaal 에서 독주회를 개최하였고 독일 Berlin Kammerorchester와 협연하였다. 올해 11월에는 일본에서 열리는 Asia Horn Festival에 독주자와 마스터클래스로 초청받았으며 12월에는 예술의전당 독주회가 예정되있다. 현재 한국예술종합학교교수로 재직하고 있으며 TIMF앙상블, Solus of Seoul Brass quintet, 제주국제관악콩쿨 심사위원으로 활동중이다. 기본기가 중요한데 자연스럽게 호흡하고 내뱉고... 경직되지 않게 하고 아르페지오나 스케일 연습많이시키는 편이예요~ 곡이나 애튜드 할때는 자연스럽게 노래가 흘러가도록 하게하지만 음정,리듬 이런거 정확하게 하는게 중요하다고 가르침니다. My name is Michelle Garasi. I am a Horn Instructor in Albuquerque, NM. I am also a non-traditional student at the University of New Mexico, and much like my degree path, the journey to my first IHS Symposium was an unconventional one. My love affair with the Horn came late in high school, but two years into my music studies at Florida International University, my journey was prematurely and abruptly ended with a near fatal car accident. At the time, I chose to walk away from music-making. But many years, and many children later, I am teaching horn, and studying Horn Performance at the University of New Mexico in Albuquerque. My dear friend Nancy Joy encouraged me to apply to be a Guest Lecturer at the Symposium. At the time, I wasn’t an IHS member – this honor, I thought, was only reserved for a select few. Sure, I have experienced success understanding the language of teens and tweens, and auto-translating horn pedagogy into a language they could understand – but could I possibly have anything of value to offer this community? I decided to move forward, despite my doubts, and submitted an abstract representing what I had to offer. I went about my normal purpose, to save the world, one horn at a time. The first half of 2018 represented many miles of “horn-travel”. 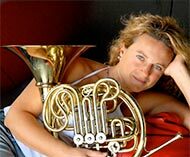 I was a featured lecturer at the NMMEA Allstate Music Conference - the title of my lecture was “Whistling, Kissing and Pooping: Demystifying the Art of Horn Playing”. I started attending the University of New Mexico to resume my Horn studies, and began performing with the Duke City Horns. 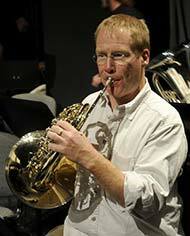 My Horn Professor, Dr. Michael Walker discussed the possibility of having Duke City Horns submit an entry for the Collegiate Quartet Competition. My first thought was “You, too! 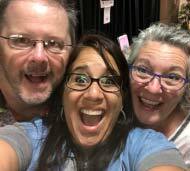 ?” We began taking our rehearsals and preparations seriously and started to “interview” performance literature – we immediately loved Kerry Turner’s Sooners. Then I listened to the AHQ perform Gershwin’s Summertime, and Bernstein’s West Side Story and I was blown away. I thought “YES!” - the Duke City Horns felt the same way. As I searched the Internet, I could not find the music for purchase. I was devastated. Then I reached out to Phoenix Publications, thinking “Well, they published all of the other AHQ music – maybe they can help?” In less than 24 hours I received an email from Kristina Mascher-Turner, offering her assistance. Then I looked at the footer, and a bit of research later, I realized this was THE KM-T, and she was willing to help us! We had WSS, and Summertime was on its way after an email to Geoffrey Winter. Could this really be, that the people who were so highly accomplished, were so generous, and kind? This had to be an exception… right? Si eres joven y estas pensando en que te gustaría tener un trabajo como cornista ( Hornplayer) en una orquesta profesional , debes pensar ya en orientar tu modo y ritmo de formación en esta dirección y con este objetivo. Muchas veces lamentablemente el estudio que haces durante años y años está muy lejos de prepararte para este fin, para ser un buen músico de orquesta o para demostrarlo que o eres en una prueba ( Probespiel ) profesional. En la orquesta no se buscan en primera línea solistas , se buscan instrumentistas que sepan del trabajo en grupo, en fila, que sean sensibles a lo que pasa a su alrededor. Y dos aspectos fundamentales son ritmo y afinación en primera línea, al que se suman tantos otros por supuesto , pero sin estos dos no puedes tocar en una orquesta ni con otros músicos. Si quieres ganar una audición deberás básicamente ser una persona que escuche muchísima música , muy diversas versiones y conozcas las obras profundamente, pues en una audición ,un buen jurado ,escucha este aspecto en tu modo de presentar los solos. El prepararse para una audición tiene varios aspectos a tener en cuenta : el técnico, el artístico y el corporal. El técnico incluye tu perfeccionamiento al punto de tener un modo de tocar limpio, afinado y una articulación precisa y adecuada al estilo que estés presentando en cada obra o los solos. El aspecto artístico incluye el conocimiento de los estilos con la articulación, el sonido, el fraseo y el carácter que sean acordes al compositor y obra. Y por último el tema físico es algo que deberías tener en cuenta y considerar en hacer alguna actividad que colabore a que te sientas tonificado y mentalmente fuerte , recuerda el famoso “ mens sana in corpore sano “ ! . Puede ser yoga ( a mi ésta práctica personalmente siempre me ha ayudado mucho a estar equilibrada en todos los sentidos , mental y corporal ) o algún deporte de tu agrado. El estado mental y que tengas confianza en ti mismo es fundamental al momento de audicionar. Algo muy importante que quiero recalcar es que todos estos aspectos los debes tener en cuenta para tu estudio diario y durante todos los años de estudio y mas tarde profesión. No te servirá mucho el prepararse de un modo especial para una prueba 1 mes o dos meses antes de la misma, eso no te llevara a tener éxito, solo cambiar tu modo de tocar será lo que te llevará a que un jurado se decida por ti o por otro en el cual escuchen mejor técnica y personalidad musical. School of Arts Gent and its horn teachers Rik Vercruysse and Jeroen Billiet are proud to host the 51st International Horn Symposium for the first time ever in the Benelux countries, together with the International Horn Society.